Comfortflo Whirlpool Baths is a company born from a desire to provide the very best quality bathtub at a price the average homeowner can afford. 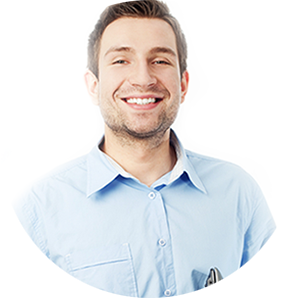 Our corporate founders are a second generation whirlpool bath manufacturer and a second generation contractor, both of whom have nearly 30 years of professional on the job experience in their respective fields. With a contractors eye toward quality, style, reliability and ease of installation and a manufacturer’s eye toward production cost, quality construction, value, and ease of service, Comfortflo has become the tub of choice for many cost conscious home owners and contractors. In this age of little service and even less product knowledge we all know how very frustrating it can be to get real answers and honest advice from salespeople. Big box stores have product but very little else when it comes to making an informed decision. 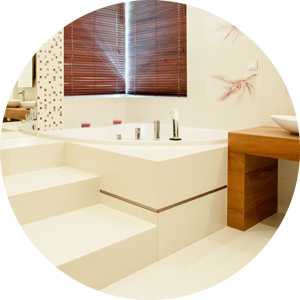 By contrast, some of our bathtub specialists have over 25 years of experience in plumbing and they can answer virtually any question you have regarding whirlpool tub construction, maintenance, installation or service. We welcome your toll free call for any reason regarding whirlpool baths and stand ready to offer you honest information regardless whose tub you choose to buy. that’s why we’re less expensive! 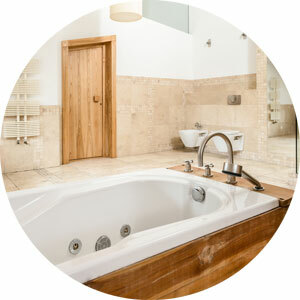 Every Comfortflo Bath is constructed of the industry’s highest quality materials. Full thickness Lucite Acrylic is the only acrylic used in Comfortflo whirlpool baths—just like the high priced brands. All whirlpool baths come standard with an all steel pump support system, much better than cheap tubs which use wood or particle board. Call our toll free number for a chat with a friendly sales representative for advice about your whirlpool bath needs. Our knowledgeable staff will help you select your whirlpool tub model, color and accessories.